No Fenders -Formula 1, IndyCar and A Whole lot more..: INDY 500: Can Any of These "Lesser Known" One Offers Shock the Usual Suspects? 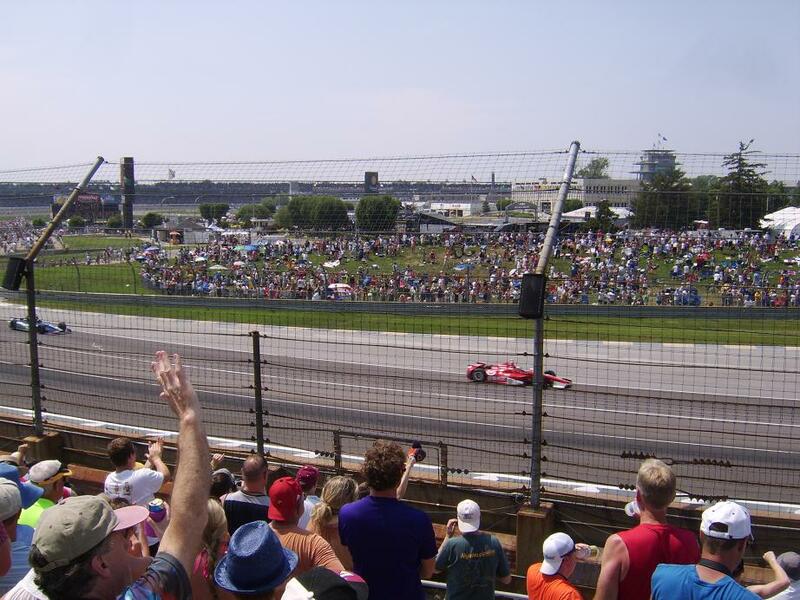 INDY 500: Can Any of These "Lesser Known" One Offers Shock the Usual Suspects? First off, I hate the term "field Filler," although unfortunately that's exactly what many of these drivers are, for better or worse. And when I began reviewing this portion of the Mega' 12 One Offers', I came up with a Sad Trivia Questione Answer. Of these four drivers, what does Carlos Munoz, Charlie Kimball, Oriol Servia and past IndyCar Driver Carlos Huertas have in Common with Danica Patrick? Not exactly sure why, perhaps it's his "Aussie Grit?" That so Jazzes Me U-P! Over this Driver, compelling Mwah to take such a Shine to him. Ideally, James Davison would be being called up right now most likely by Dale Coyne to substitute for the injured Pietro Fittipaldi, akin to his filling in for le Hamburgular', nee Sealmeister' Bourdais last year at DCR. which the 31yr old Australian's raced his last two Indy 500's aboard Coyne's racecars in 2015 & 2017 respectively. Davison has a decade's old association with Indy Cars, having contested the 2008 Firestone Indy Lights season for Sam Schmidt Motorsports before finishing runner-up to '09 Lights titlist J.R. Hildebrand, driving for TG's Brand New Vision Racing team. and if thou 'Ol Memory serves me correctly? James took the number 33 for his rookie outing at Mother Speedway in 2014 for KV Racing Technology since he was the 33rd and final Indy 500 entry that year. Hopefully Davison, along with TK' Follow-your-Schnoz! Kanaan and rookie Matheus Leist can give A.J. Foyt decent results this year, and Davison in particular can represent the third entry better than past efforts. We All know the story of Stefan STORK' Wilson, younger brother of the departed Justin B-I-G UNIT' Wilson giving up his Andretti Autosport Hondre' powered seat so some guy named Fernando could run last year's race, Ci? Thus, Mikey A', in conjunction with Honda have made good on Thar promise to give Stefan a "Fully funded" ride this May, as Wilson will be part of Andretti's now yearly six Pack entry at Mother Speedway. Stefan made his rookie debut at the Brickyard in 2016 for the KV Alphabet Soup Brigade, driving the No. 25 KVSH Racing entry to a Ho-Hum 28th place finish, and obviously is looking to improve upon that this year. Carlos Munoz electrified, and worried many with his then unconventional line round the Speedway as a rookie for Andretti Autosport in 2013, where he started from the middle of Row-1 and finished in the same place as runner-up to Tony Kanaan. As Munoz's excellent finish netted him that year's Rookie Of the Year (ROY) Honours. Munoz once again finished P2 in 2016, behind fellow Andretti rookie team-mate Alexander Rossi, before departing Mikey A's Squad for the floundering A.J. Foyt Enterprises operation last year, where he scored his fourth Top-10 finish to date. Obviously with Andretti Autosport having two Indy 500 winners on its roster, along with having won last year's race with Takuma Sato, Honda's affinity for winning at Mother Speedway, and Munoz's knack for going quickly Thar. The soft Spoken Columbian driver's hoping to Steal the Show and Kiss the Bricks like past Andretti drivers. Sadly, like many drivers who go to A.J. Foyt enterprises, it becomes an IndyCar career Killer... Although Conor's been bounced from two teams now - after first losing his Dale Coyne Racing ride after the 2016 season. Also somewhat unfortunately, when I think of Conor, who was my Numero Uno IndyCar Driver until losing his Drive this season. Is the irony of chauffeuring the Smithfield Foods "fueld by Bacon" Special , whilst driving the iconic #43 for Schmidt Peterson Motorsports during his second outing at the Speedway. When the car Done Caught On Fire during the Parade lap; YOUCH! As I wouldn't have been surprised if there'd been a number swap to the #19 in the offing for Conor, due to Pietro Fittipaldi's substitute replacement, which I really thought would be the lamented S-Squared', aka Sebastian Saavedra bringing Gary Peterson's AFS "Sprinkler" money to the party. Daly drove his first full IndyCar season for DCR in 2016, and Pippa Mann was one of his team-mates, including the late Brian Clauson and Gabby Chaves at Indy. Conor's best finish at Mother Speedway to date is P22 during his rookie outing for A.J. Foyt Enterprises, and will campaign a car run with Tom Burns, a longtime Indy 500 car sponsor, who previously joined forces with Lazier Partners Racing to form Lazier Burns Racing in 2016. Pippa Mann's become a fixture at Dale Coyne Racing for the Month of May, and since her worst finish of 30th in 2013, she's steadily improved each year since then. With her past two Indy 500 starts netting finishes of 18th & 17th respectively. And whilst we've All gotten accustomed to her running the Pink for Women's Breast Cancer Awareness colours, this year she's got a new sponsor and her familiar No. 63 will be sporting a different hue. As can Pippa crack the Top-15 finishing order this year? As the 2013 Indy Lights Champion made his Indy 500 debut aboard a Dreyer & Reinbold "Satellite Squad" effort for thee Cheepster', nee Chip Ganassi four years ago, en route to his career best finish at Indianapolis, finishing P9, but being out-voted for Rookie Of the Year (ROY) Honours by some Taxi Cab Driver named Busch. Otherwise his last three results have been mostly unforgettable, with a brace 'O 32nd's and last year's finish of P28. Unfortunately, this likeable Yank', the 2009 Indy Lights Champion is mostly remembered for his failures, most notably his last lap crash during his inaugural race at the Brickyard. Or his being unceremoniously Dumped by Panther Racing Owner John "Fans R Us' Barnes! Or losing his ride last year with FAST EDDIE', nee Ed Carpenter Racing, where Dare I say his replacement isn't exactly Wowing Us; Righto? But who knows, the 30yr old Californian, who's a "Brainiac" who graduated High School with a 4.12 GPA, and was accepted to multiple Colleges including M.I.T. - which he let his 3yr Deferral lapse in order to pursue racing. Who was chided for letting his "Hair Down" and face growing long last season. Perhaps will score another Top-10 finish, which he's currently got four. Or may be a Top-5? As Hildebrand certainly seems to know his way round Mother Speedway, with the only Questione being how good will his new team be? 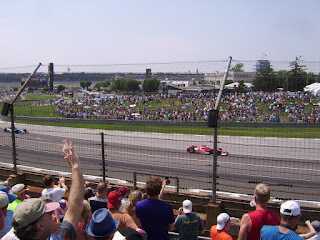 For the other One Off Drivers in this year's Indy 500 field racing for Ed Carpenter Racing thru Team Penske, see; INDY 500: Who'd ah Thunk-It, that Castroneves would become A "One-Offer"